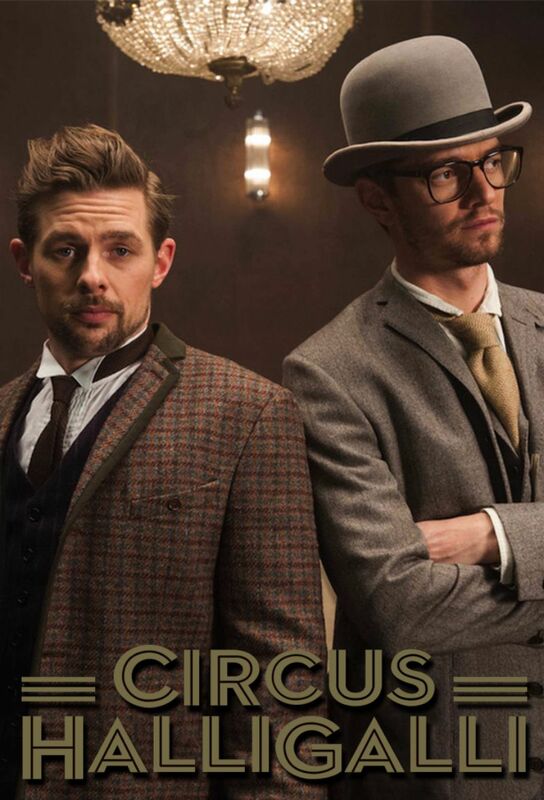 Circus HalliGalli is a German late-night talk show that is broadcasted on ProSieben since 25 February 2013. The concept of the show is mainly based on the of MTV Home and neoParadise. The font used for the title of the TV show is Neutra No. 2 Display Inline. Neutraface is a geometric sans-serif typeface designed by Christian Schwartz for House Industries. The initial versions of Neutra are Neutraface Display and Neutraface Text, and since that the Neutra family has expanded with the variants Neutraface Condensed, Neutraface Slab and Neutraface No. 2. In addition to Circus HalliGalli (TV Show), Neutraface typeface is also used in the following logos, movie posters or album covers etc., including: Native, A Wrinkle in Time, Passengers (film), Icon for Hire, James Bond 007: Blood Stone, League of Ireland, Shocked, Foursquare, The Shape of Water, Skyfall, A Little Faster, Once Upon a Time (TV series), Girls, Quantum of Solace, Shake Shack.